Perfect and correct your skin with The Sensual Skin Enhancer from Kevyn Aucoin, a versatile, skin-perfecting makeup formula created by Kevyn Aucoin himself. Inspired by the flawless, dewy complexions of geishas, the award-winning, best-selling original cult classic can be used to cover, conceal and correct the appearance of skin; its sheer-to-full coverage expertly hydrates while mimicking the look of a healthy, radiant complexion. Waterproof and long-wearing, it can be used as a concealer and foundation, or for contouring to sculpt and enhance your natural bone structure. It can also be used to highlight; select a color two shades lighter than your natural skin tone to add a glow to cheekbones. Infused with Jojoba Oil, Honey and minerals, the multi-purpose makeup will leave skin feeling soft and hydrated with a dewy finish. Sweat-proof and transfer-resistant. To create the perfect contour, use lighter shades to highlight and deeper shades to sculpt. 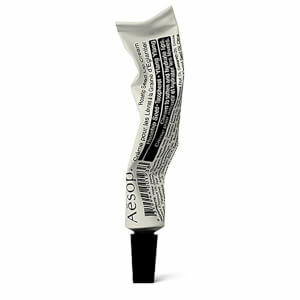 Can also be mixed with Kevyn Aucoin The Sensual Skin Primer for more sheer coverage. In all cases, apply The Sensual Skin Enhancer in small, rice grain amounts. As a CONCEALER: Use The Concealer Brush to pick up a small, rice grain mount of product and place on the heel of the hand for added control. Blend into desired area with The Foundation Brush, adding more product as needed to achieve desired coverage. As an ALL-OVER FOUNDATION: Use The Concealer Brush to pick up a small, rice grain mount of product and place on the heel of the hand for added control. Blend into skin with The Foundation Brush to achieve desired coverage. For more medium to sheer coverage, mix product with The Sensual Skin Primer. As a HIGHLIGHTER: Choose a shade one shade lighter than your actual skin tone. With The Concealer Brush apply where light naturally hits the skin, the brow bone center of the eyelid, the center of the forehead, and down through the bridge of the nose, the cheekbone plane, under the eye, around the corners of the mouth, the center of the chin, up under the lip, the collarbone, and the inside curve of the breast. Blend into skin with The Foundation Brush and outward to eliminate lines for a seamless finish. As a CONTOUR: Choose a shade one shade darker than your actual skin tone to sculpt. With The Contour Brush blend into the hollows of cheeks, under the chin, down the neck, sides, and under the tip of the nose, into the crease of the eye, the temples, the center of the cleavage, the hollows above and below your collarbone, and around the hairline. As a BODY FOUNDATION: Mix with a favorite body moisturizer and apply where needed. Mica, Paraffinum Liquidum/Mineral Oil, Polybutene, Diethylhexyl Succinate, Polyethylene, Quaternium-18 Hectorite, Calcium Carbonate, Dextrin Palmitate, Alpha-Isomethyl Ionone, Aluminum Hydroxide, Benzyl Alcohol, Butylene Glycol, Butylphenyl Methylpropional, Canola Oil, Cera Alba/Beeswax/Cire D’abeille, Cholesterol, Citronellol, Geraniol, Hexyl Cinnamal, Lecithin, Linalool, Mel (Honey), Methylparaben, Parfum/Fragrance, Simmondsia Chinensis (Jojoba) Seed Oil, Talc, Tocopherol, Triethylhexanoin. May Contain (+/-): Titanium Dioxide (Ci 77891), Iron Oxides/Oxides De Fer (Ci 77491, Ci 77492, Ci 77499).